When you start using InEmergencies.com, you will be directed to list one or more emergency contacts. These are the people who our system will notify in the event you are injured or incapacitated. It is important to list those who will be most likely to receive the notification in the form of a text message or email, and respond to it immediately. The response time is critical. Obviously, those closest to you, your son, daughter or spouse will be likely to react immediately. They will likely be intimately familiar with our system since you are a member, and may very well be a member themselves. A text from InEmergencies.com will be instantly recognized and responded to by an immediate member of the family. For this reason we recommend that all members of the immediate family be listed, as well as other close relatives and close friends with whom you may have discussed our service. If anyone you list as a contact has an occupation which would not allow them to receive a text, be sure to continue listing friends, family or professionals who would be able to receive a respond to a text, as that is likely to be the mode which solicits the fastest response. Remember, time is critical. Don’t list a person who may be circling the earth in a space station or be serving on a nuclear submarine in the Arctic Circle! Primary Care Physician – Beside yourself or your spouse or offspring, your primary care physician will most likely have much if not all of your medical history. However rarely in the United States do patients have access to their doctor’s personal cell phone number. If you can get it, that’s great. But your medical information in our system can reach a first responder through a family member far faster than a doctor in his office or on rounds in a hospital can react to a text message. Doctors have hundreds of patients, and without looking at your written file, they cannot safely dictate treatment on the phone. The function of our system is not to get in touch with your doctor. The purpose of InEmergencies.com is to have the medical information YOU have entered into your file, released to the medics on the scene as fast as possible. List a primary care physician as an emergency contact, and in the information to be released to the first responder, but by no means rely on an immediate response from either a text or an email. Time is critical. Insurance Representative – Rather than attempting to contact your insurance carrier, it may be advisable to list their number on the information which can be released to the first responder and given to the hospital upon your arrival. Often insurance carriers only have phone systems with prompts that direct you through a maze of options before getting through to a human being, and are also incapable of even receiving a text message. Given how busy they are, even if you were to get the personal cell phone of a health insurance rep, chances of them checking a text in the middle of a conversation with a client are slim. List them as a contact if you have their cell number and email, but don’t count on an immediate response. Time is critical. Attorney – Again, attorneys are busy people, often in meetings or preparing documents- perhaps even in court where cell phones are banned. List them if you have a personal cell number, but don’t count on them for an immediate response, which is what we are looking to obtain. 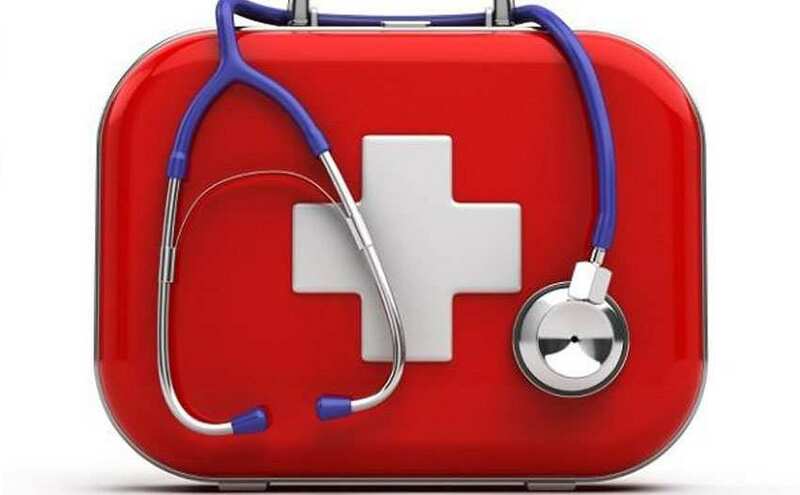 Health Care Proxy – General or Medical Power of Attorney- This person has the legal authority to make medical decisions on your behalf if you are unable to make them yourself. Generally it’s your spouse or child, but if you have neither, and no siblings, the circumstances of when and who makes these decisions is a process you should start well before you end up in an emergency situation. This eliminates ambiguity in the hospital should the unthinkable happen. If you have one, your health care proxy should be made immediately aware of any emergency when it happens. Minister – To many, faith is a very important part of their life. If you are injured, often when notified, your minister or similar clergy representative may lend comfort and prayer in person during these trying times. And if you have their cell, they are likely to be able to take a text or email, and most are very responsive to the needs of their congregation. A spiritual leader is a good contact to list with family members. Your immediate family and close extended family are most likely to be familiar with our service, recognize the InEmergencies.com text or email and respond quickly. Before a moment of crisis, it is best to consider how our system works, and who has the highest likelihood to be able to respond quickly. Time is critical, and the best possible advocates for you at the hospital are those who care the most. We speak from experience!